Timehop Alternatives: The Death of Timehop? Up until a few years ago, I found myself taking less pictures for fun (this is not a good thing for someone who takes photos for a living). I think it was probably due to just how easy it was to take quality photos on my iPhone. If you can take great photos every day, then they don’t seem that great anymore – like the old home movies your uncle would take out to the groans of everyone. Hours of footage gets boring. Just like thousands of photos get boring. That was until I discovered Timehop, my favorite app until a few weeks ago. 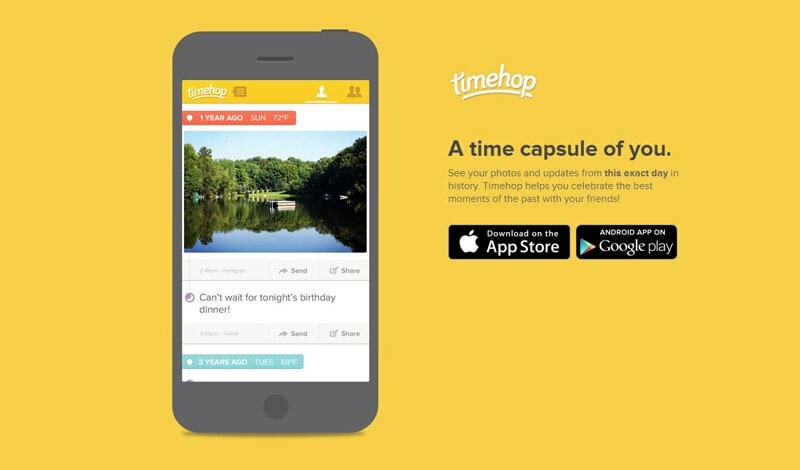 If you haven’t heard of Timehop, it’s basically an app that scrubs through your social media and cloud storage accounts and showcases today’s photos and videos over the years. I love seeing what I was doing last year, two years ago and so on. Even if it was just a boring selfie, I can throw myself back in time and remember that day for a moment. Immediately, every picture had meaning because I would see it again next year and beyond. My brother once complained that you could only see that day in history on that same day. But for me, it’s part of the charm. Less is more – if I could look at every day I might not look at all. Fast forward to December 23, 2016 and Timehop’s new app release. As of writing this there are currently 6,853 ratings in the App Store for the new version (https://itunes.apple.com/us/app/timehop/id569077959) – most of which are one star reviews. This brings the total ratings down to 3.5 stars from what I assume was a 4.5-star rating before the new version. Why is the new version so bad? It’s hard to use. It gives preference to portrait photos instead of landscapes – even though most photos are taken as landscape. You must hold down on the photo to zoom out instead of zooming in, and most of the social media integration has been removed. Back in February, they were rated the sixth most-addictive app by VentureBeat behind Facebook, Snapchat and a few others (http://venturebeat.com/2016/04/23/the-50-most-addictive-mobile-apps/). I wasn’t going to rate this one star since I love the app concept so much. However, after reading the public message on their Facebook page that we need to get used to the new format I feel like I need to add my one-star vote. This app made me want to take more photos because I knew I would see them every year. I’ll stick with it for a bit longer but at a certain point I’ll need to find an alternative. So now the question is – was Timehop right? A year from now, will I have drunk the Kool-Aid like we’ve done for Apple so many times before? Or should they have switched back like Netflix did with Qwikster or New Coke. Are there Timehop alternatives? There is a lot of talk on Timehop’s Facebook page about Memoir (https://itunes.apple.com/us/app/memoir/id544754670?mt=8) which I’m going to try soon. My fear is that it hasn’t been updated since September of 2015. Although maybe in a sea of constantly changing apps and updated versions that sink like lead balloons, that’s a good thing.